Knipex-Werk manufactures and Knipex Tools LP distributes the highest quality tools for industrial and commercial use. KNIPEX Tools come with a Lifetime Limited Warranty. In the unlikely event that the exact type of tool should no longer be available, Knipex may elect to replace the tool with a comparable tool of equal or greater value, or at Knipex Tools LP's option, Knipex Tools LP may elect to refund the purchase price for the defective tool. The foregoing remedies are the sole and exclusive remedies available under this warranty, and in no event will Knipex-Werk or Knipex Tools LP be liable for incidental, special, or consequential damages, lost profits or other economic loss. 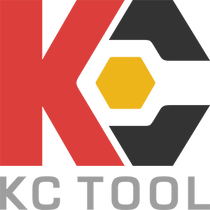 This warranty applies only to the original end-user that purchased the tool, and does not apply in any way to failures caused by misuse, abuse, alteration, accident, or tools worn out by use. For warranty service contact Knipex Tools LP or your nearest authorized Knipex dealer. Warranty claims require return of the defective tool, proof of purchase, and confirmation from you that you are the original end-user purchaser of the tool. All shipping and transportation costs are excluded from this warranty. THIS WARRANTY IS KNIPEX-WERK'S AND KNIPEX TOOLS LP'S SOLE WARRANTY FOR ITS TOOLS, AND IS IN LIEU OF ALL OTHER WARRANTIES AND CONDITIONS, EXPRESSED OR IMPLIED. KNIPEX-WERK and KNIPEX TOOLS LP DISCLAIMS ALL OTHER EXPRESS OR IMPLIED WARRANTIES AND CONDITIONS, INCLUDING THE IMPLIED WARRANTIES OR CONDITIONS OF MERCHANTABLE QUALITY, MERCHANTABILITY, AND FITNESS FOR A PARTICULAR PURPOSE. Knipex-Werk and Knipex Tools LP neither assumes, nor authorizes any person to assume for it, any other warranty, condition, or obligation expressed or implied. Just used them once or twice . The feel of a good clean cut and the strippers are worth the price. I have only been using these for a short while. less then a month. but extremely happy with the results for wire stripping of AWG American wire guage 12-14 or 15 amp ( 14 ) 20 amp 12 guage wire. Love the shears they work great. Size is rather small making things easier and built is true pro-grade. I thought originally over priced but a true investment for productivity and protection. Also chose the Knipex Dual Force snips and very happy with this combo. Being a installation pliers we might change our set up. The Knipex 13-92-200 pliers are a winner for an all in one tool for basic home electrical installation. They cut, strip, crimp and bend. They are very well constructed and are comfortable to use. I'm only saddened by their high cost and they fact that I already own wire strippers, needle nose pliers, and diagonal cutters. If I found these first I could have skipped the others. I found on my current garage rewire project that I climb the ladder with these alone and don't need the others for basic 120AC lights, switches and outlets.